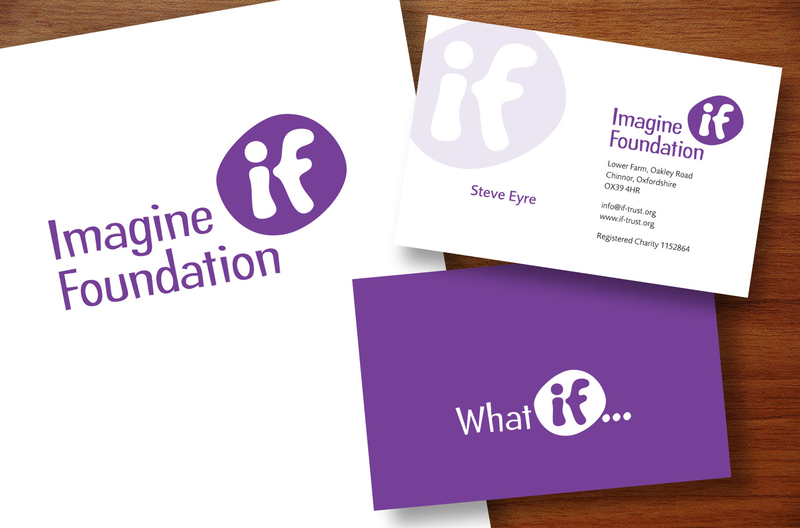 A visual identity and bespoke website for the Imagine Foundation, an Oxfordshire based charitable trust. 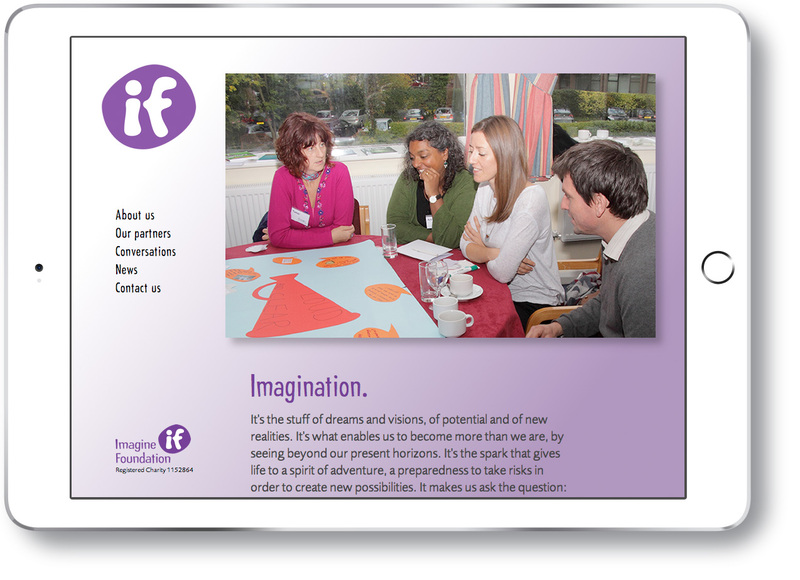 Imagination - it's the stuff of dreams and visions, of potential and of new realities. 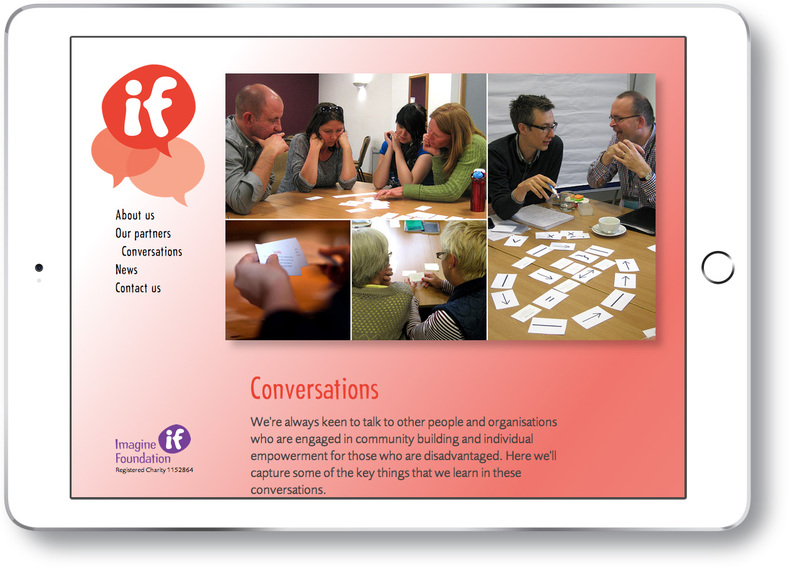 Oxfordshire's IF Trust approached us for help in the process of imagining how they might 'look' in communicating the work they do. 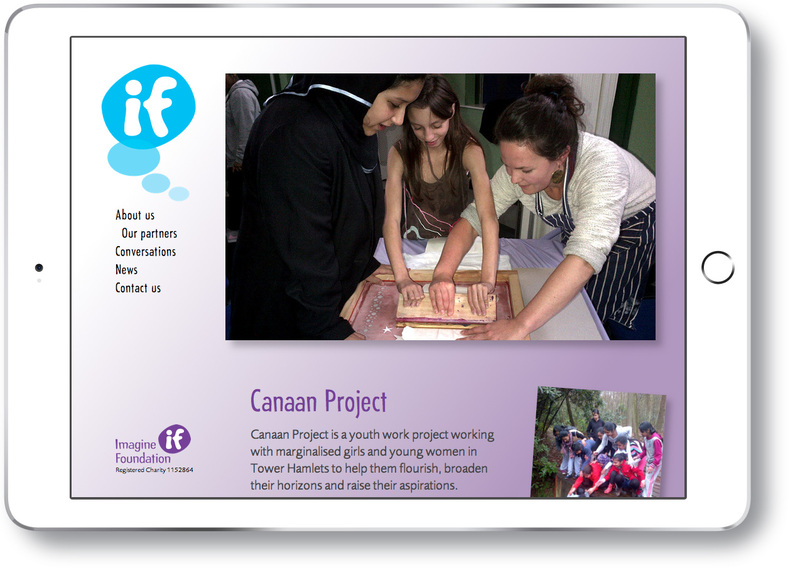 The IF Trust is a charitable funding agency facilitating the work of individuals and groups aiming to create something new and lasting for their communities. 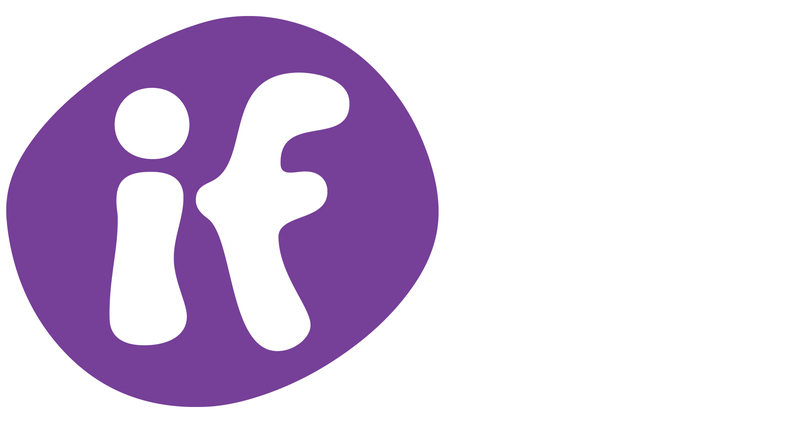 Working closely with the founders and trustees we designed a flexible, playful marque that could be adapted in colour and form to denote different aspects of the Trust's work without losing recognition. 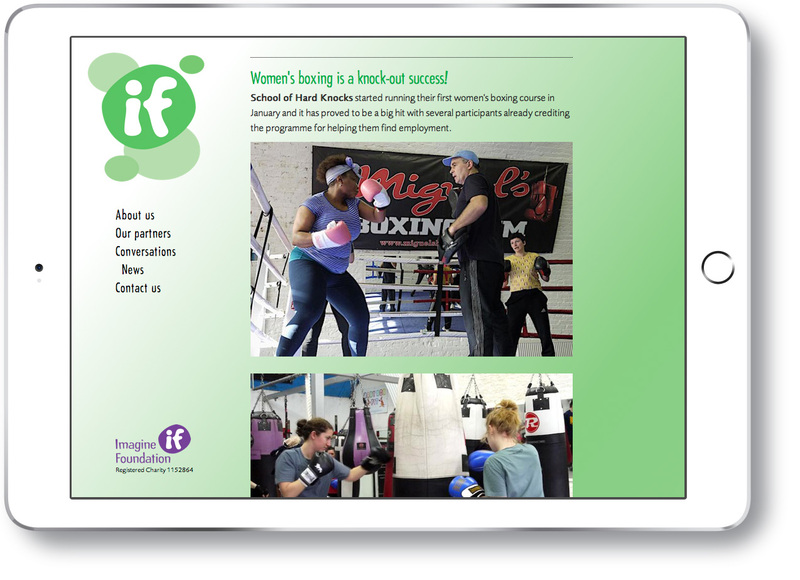 The identity was then implemented across a stationery system and promotional material. The Trust were very involved in the design and development of the bespoke website we created for them which was kept simple, and built with a customised, intuitive 'in the browser window' content management system to make administering and editing the site straightforward. We were very sketchy in our thinking about how we wanted to look - finding it easier to say what we didn't want than what we did. James' approach was to just encourage us to talk about IF and our plans and hopes for its development. 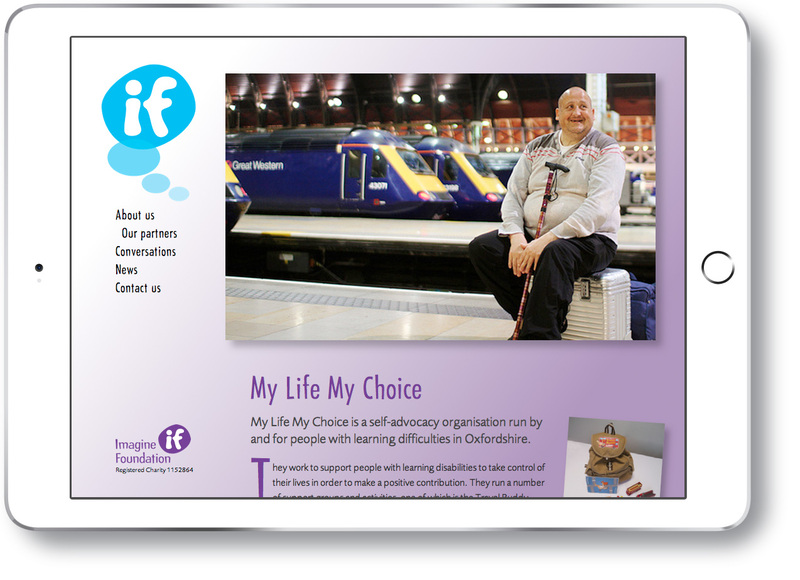 From those conversations he brought us a number of ideas which helped us to become much clearer, eventually creating a versatile logo and website that really reflect the character of IF. The site is easy for us to administer and James has always been ready to make changes that have helped us to use it better. We would thoroughly recommend him - his service is thoughtful, personalised, and holds the client's needs at heart.